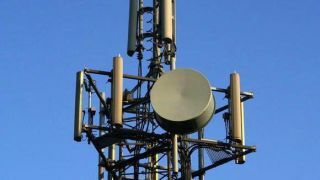 Mainly to ensure it has a hand in literally every tech business imaginable, Google announced during MWC 2015 that it plans to begin offering wireless plans to a small number of customers. The last time this rumor popped up was January, when sources said Google would launch a Straight Talk-style mobile virtual network operator (MVNO) that piggybacks on the existing networks of larger carriers. At MWC today Google Vice President Sundar Pichai confirmed as much, reports Mashable. The search company will buy in to the networks of carriers like Sprint and T-Mobile and offer its own plans to a small number of customers, the site says. Like many of Google's new ventures, it will be an experiment at first, but could turn into more. No word yet on when the program will launch or what it will be called, but in January it was said to be code named "Nova," so for now we'll just go with that.